After a few months away, Judge Dredd is back in action at IDW, but in his newest mission, it’s been quite a while since we last saw him. And if you thought Dredd’s usual life was messed up, then it’s about to get downright apocalyptic (well, even more than it always is) in Judge Dredd: The Blessed Earth—and we’ve got the first details about the series. Cover art by Ulises Fariñas. 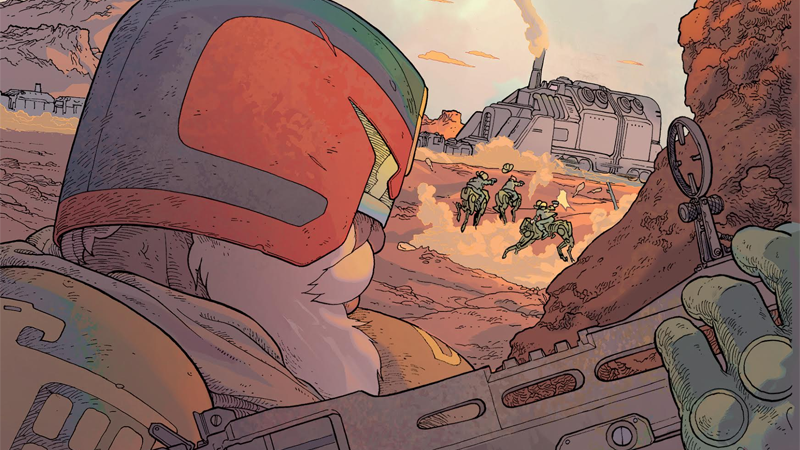 Judge Dredd: The Blessed Earth #1 will hit store shelves in April.